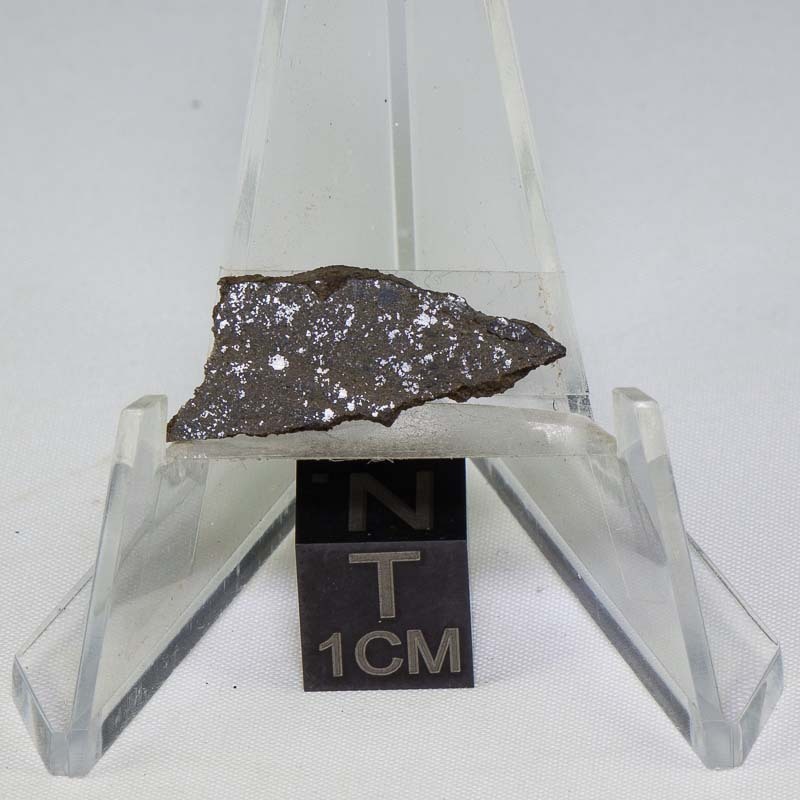 Northwest Africa 725 (Tissemoumine) Meteorite For Sale 0.6g 725-15 - The Meteorite Exchange, Inc.
NWA 725 (Tissemoumine) visually appears much like an H chondrite having a generous amount of small metal grains set in a chocolate colored stone matrix. One stone of 3.8 kg was found. This is an interesting achondrite from one of the rarer types.